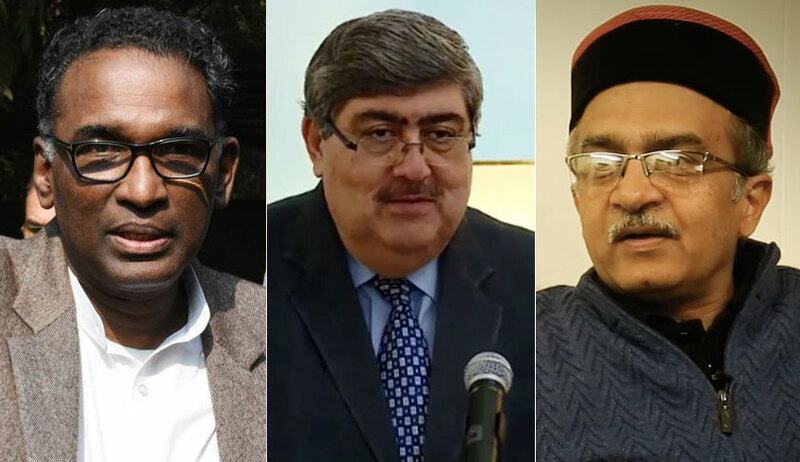 In a significant development a two Judge Bench of the Supreme Court comprising Justices Chelameswar and Sanjay Kishan Kaul on Tuesday referred the question ‘whether prior sanction for prosecution qua allegation of corruption in respect of a public servants is required before setting in motion even the investigative process under Section 156(3) of the Code of Criminal Procedure, 1973’ for the consideration of a larger bench. A two Judge Bench of Supreme Court in Anil Kumar and Others v. M. K. Aiyappa and Another held that a Special Judge / Magistrate cannot refer a Complaint for investigation under S.156(3) of the CrPC against a Public Servant without a valid sanction order from the Government. The Bench was considering the question whether the Special Judge/Magistrate is justified in referring a private complaint made under Section 200 CrPC for investigation by the Deputy Superintendent of Police -- Karnataka Lokayukta, in exercise of powers conferred under Section 156(3) CrPC without the production of a valid sanction order under Section 19 of the Prevention of Corruption Act, 1988. Advocate Prashnat Bhushan sought to question the view taken in Anil Kumar and in L. Narayana Swamy v. State of Karnataka following the earlier judgments. The sub-stratum of the argument is that the requirement of prior sanction for prosecution against the public servant would arise only when cognizance is taken, while no such sanction was required at the stage of setting into motion an investigation under Section 156(3) of the Cr.P.C.. It was, thus, contended that the observations in these two judgments are per incuriam or in conflict with the long line of earlier judgments on the question as to when the cognizance can be stated to have be taken. Bhushan also submitted that there is a distinction between the investigation carried out at pre-cognizance stage, which would not face the requirement of a prior sanction qua a public servant, as against a post-cognizance proceeding which needs prior sanction. The Bench noted that In R.R. Chari v. State of U.P. , a three Judges Bench of SC referred to Gopal Marwari v. Emperor qua the observations that the word ‘cognizance’ indicates the point when a Magistrate or a Judge first takes judicial notice of an offence. This was different from initiation of proceedings. The word ‘cognizance’ was somewhat of an indefinite import and perhaps not used exactly in the same sense. Thereafter it proceeded to notice the observations of Das Gupta, J. in Superintendent and Remembrancer of Legal Affairs, West Bengal v. Abani Kumar Banerjee where observations were made to the effect that what is taking cognizance has not been defined in the Cr.P.C., but it could be said that any Magistrate who has taken cognizance of any offence under Section 190(1)(a) of the Cr.P.C. must not only have applied his mind to the contents of the petition but must have done so for the purpose of proceeding in a particular way as indicated in the subsequent provisions of this Chapter – proceedings under Section 200 and thereafter under Section 202.However, when the Magistrate applies his mind, not for the purpose of proceeding under the subsequent sections of this Chapter, but for some other kind, e.g. ordering investigation under Section 156(3) or issuing a search warrant for the purposes of the investigation, he could not be said to have taken cognizance of offence. The Supreme Court gives its imprimatur to these observations. In Anil Kumar’s Case the two Judge Bench Bench proceeded to examine whether the order directing investigation under Section 156(3) of the Cr.P.C. would amount to taking cognizance of the offence since a contention was raised that the expression “cognizance” appearing in Section 19(1) of the P.C. Act would have to be construed as post-cognizance stage and not pre-cognizance stage and therefore, the requirement of sanction does not arise prior to taking cognizance of the offences of the P.C. Act. Insofar as the expression ‘cognizance’, which appears in Section 197 of the Cr.P.C. was concerned, a reference was made to the judgment in State of U.P. v. Paras Nath Singh. In that case it was observed that the jurisdiction of a Magistrate to take cognizance of any offence is provided by Section 190 of the Cr.P.C. and so far as the public servant was concerned this was clearly barred by Section 197 of the Cr.P.C. unless the sanction was obtained from the appropriate authority. After referring to certain other judgments on the issue of purport and meaning of the word ‘cognizance’, it was concluded that ‘cognizance’ has a wider connotation and is not merely confined to the stage of taking cognizance of the offence. The present Bench has observed that it examined the rival contentions and do find a divergence of opinion, which ought to be settled by a larger Bench. “There is no doubt that even at the stage of 156(3), while directing an investigation, there has to be an application of mind by the Magistrate. Thus, it may not be an acceptable proposition to contend that there would be some consequences to follow were the Magistrate to act in a mechanical and mindless manner. That cannot be the test”. The catena of judgments on the issue as to the scope and power of direction by a Magistrate under Chapters 12 & 14 is well established. Thus, the question would be whether in cases of the P.C. Act, a different import has to be read qua the power to be exercised under Section 156(3) of the Cr.P.C., i.e., can it be said that on account of Section 19(1) of the P.C. Act, the scope of inquiry under Section 156(3) of the Cr.P.C. can be said to be one of taking ‘cognizance’ thereby requiring the prior sanction in case of a public servant? It is trite to say that prior sanction to prosecute a public servant for offences under the P.C. Act is a provision contained under Chapter 14 of the Cr.P.C. . Thus, whether such a purport can be imported into Chapter 12 of the Cr.P.C. while directing an investigation under Section 156(3) of the Cr.P.C., merely because a public servant would be involved, would beg an answer”. “The complete controversy referred to aforesaid and the conundrum arising in respect of the interplay of the P.C. Act offences read with the Cr.P.C. is, thus, required to be settled by a larger Bench”.